Cinnamon and Raisin: A toasted bagel made with cinnamon and raisins. Try it with your choice of spreads; Choose from butter or Philadelphia cream cheese product. Everything: Made with onion, garlic and sunflower seeds, topped with sesame seeds, poppy seed and roasted onion. Enjoy one toasted with your choice of spreads. Multigrain: Made with white and whole grain flour and a multigrain seeds blend. Then topped with a blend of sesame, flax and millet. Plain Bagels: available with your choice of spreads. 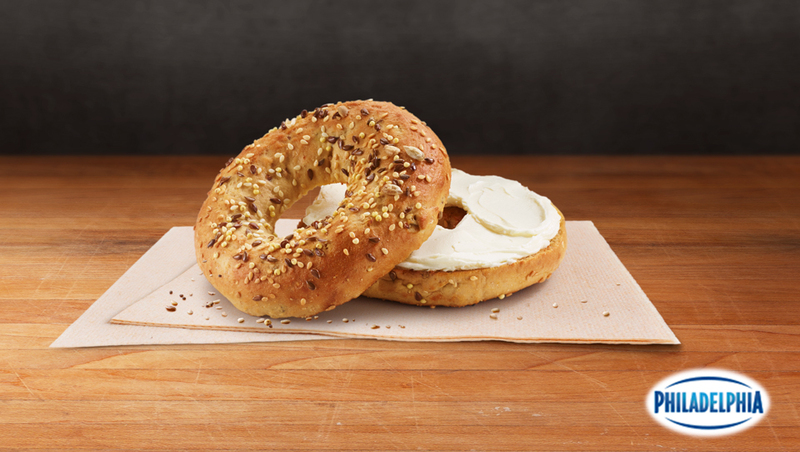 Fall in love with one of our toasted plain bagels. Crispy on the outside, warm and chewy on the inside. Also, the egg BLT McMuffin is back for a limited time only. Lastly, friendly reminder that until March 4 2018 you can buy any sized McCafé premium roast coffee for only $1. Click here to browse all of McDonald’s promotions.